Data handling, data destruction securely, reuse/re-marketing, and other programs to increase ROI and free the precious space. When a company wants ITAD. Maxicom Global introduces IT Asset Management (ITAM) programmed. Which include data handling, data destruction securely, reuse/re-marketing, and other programs to increase ROI and free the precious space. Our standard services include off-site assets degaussing, erasure, and physical destruction, disposal of all IT equipment Remarketing Logistics Management options . Are your decommissioned IT assets, taking up space in your data center and depreciating in value? Let Maxicom Global be your trusted partner with your IT Asset Recovery needs. 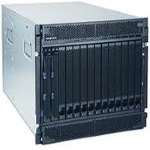 Maxicom Global removes server and storage equipment, providing you with an environmentally sustainable, secure and cost-effective solution for your asset disposal needs. We also help you maximize the value of your decommissioned IT assets with a cash return or credit for services and parts. Maxicom Global IT Assets Disposition (ITAD) services realize the maximum residual cash value of your retired assets via our buyback services.